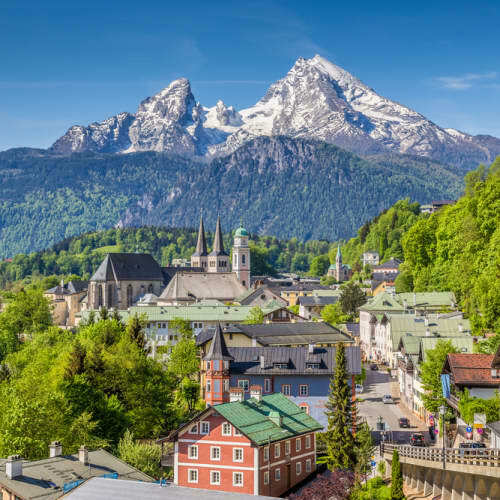 St. Johann in Tirol is a beautifully preserved medieval village filled with enchanting period buildings, frescoed houses and delightful little squares and is a beautiful starting point for many activities and fun filled days. 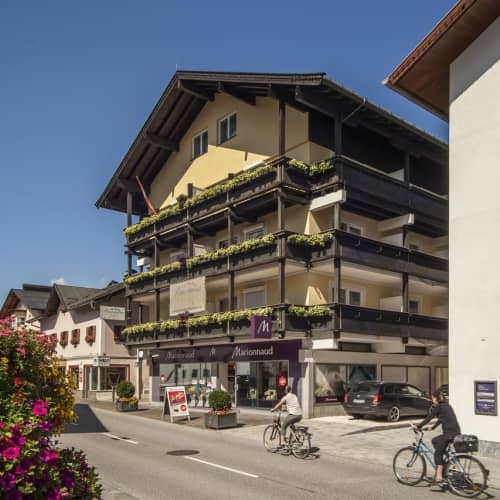 Included for clients staying in St.Johann is the St. Johann Summer Card which will be issued to you by staff at your accommodation. This card entitiles you to free use of buses in St. Johann, Oberndort, Kirchdorf, Erpendorf, Ellmau. Kitzbuhel and Waidring and trains between Worgl and Hochfilzen. 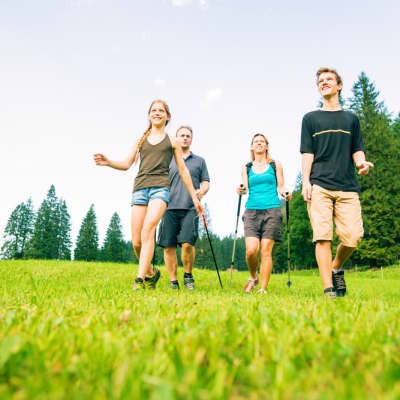 There are events organised by the tourist office that you can get involved with, including guided walks. The card will also gain you access to indoor pools in the area and a reduction in price of many other activities and excursions in the area. Find out more about the St. Johann Summer Card here. 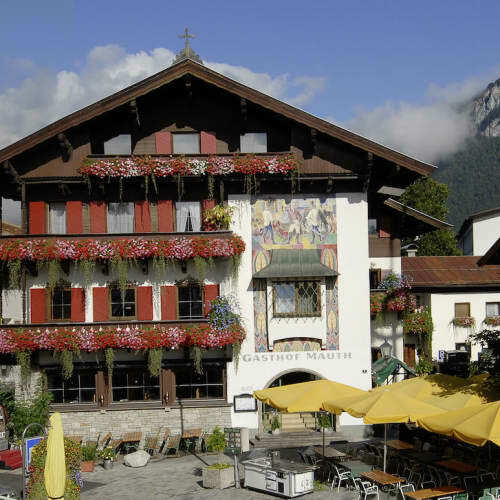 Nestling in a sunny valley between the Wilder Kaiser mountains and the Kitzbühler Horn, the village centre has a tempting array of shops, a weekly market, bars, restaurants and cafes. With a busy programme of concerts, open air music shows and folklore festivals, there is always something to enjoy. 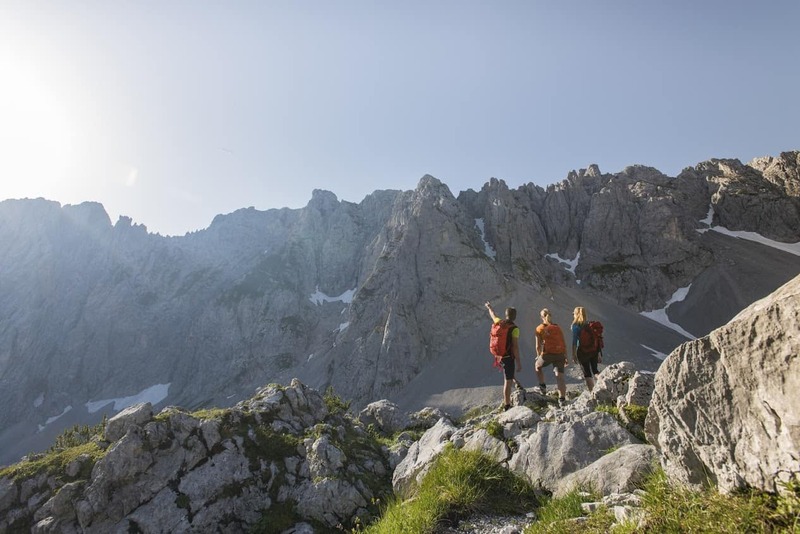 Whilst the resort of St Johann in Tirol is very well known for winter sports it is equally as impressive in the summer when a unique alpine world opens up between the Kitzbuheler Horn and the Wilder Kaiser, an area which is perfect for active types. 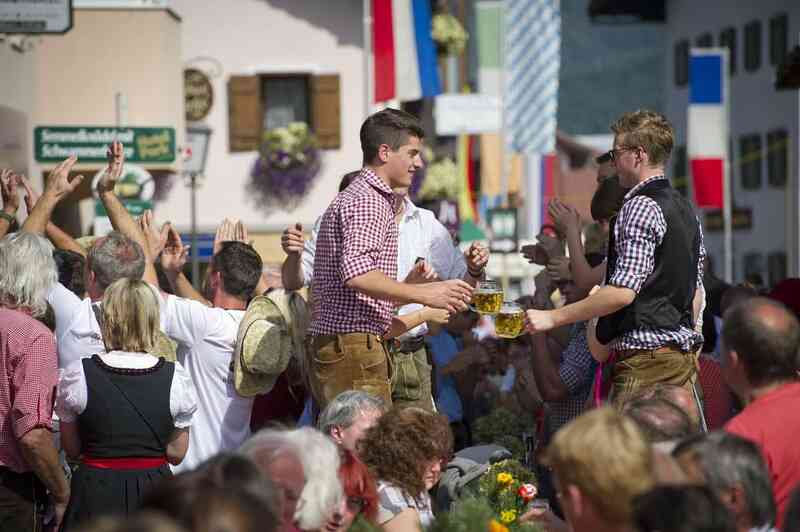 In the evenings, St Johann in Tirol is lively, with wine bars, beer kellers and taverns offering a singing and dancing. 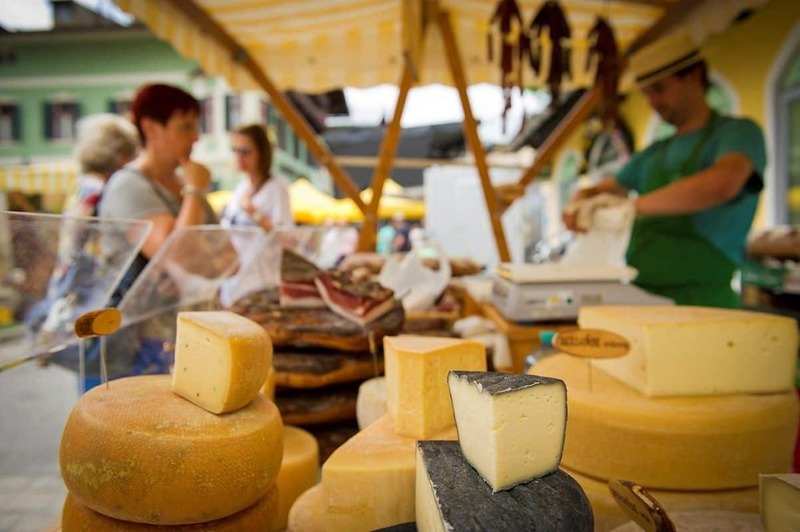 Enjoy a visit to the weekly market in St. Johann in Tirol's main square, every Friday throughout the summer. 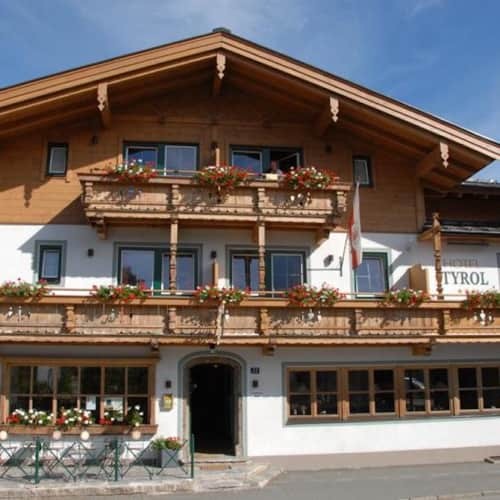 You can find fresh fruit, crunchy vegetables, savoury speciality cheeses and bacon, crispy bread, fragrant herbs and soap, real natural honey, fine antipasti, poultry, fresh fish and many other homemade delicacies from the Kitzüheler Alpen and Tyrol. 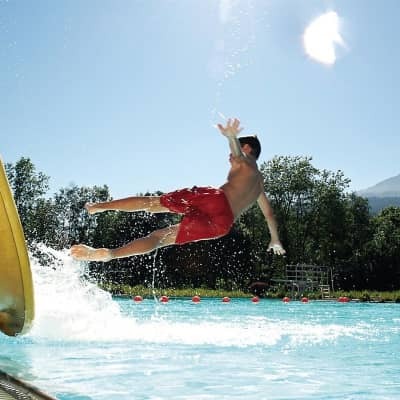 The Panorama Badewelt is an fantastic leisure centre which includes both an indoor and outdoor area, giant water slides for the kids and relaxing and fun facilities for adults too. 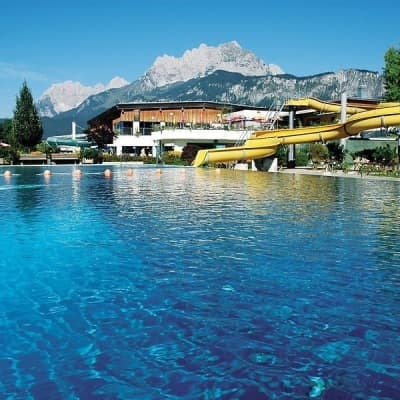 The Panorama Badewelt provides hours of fun and enjoyment for young and old and is in the centre of St. Johann in Tirol. It consists of an indoor area with a large sports pool and family area with a children’s pool as well as an outdoor area that includes a sports pool, adventure pool and a spacious lawn for sunbathing. 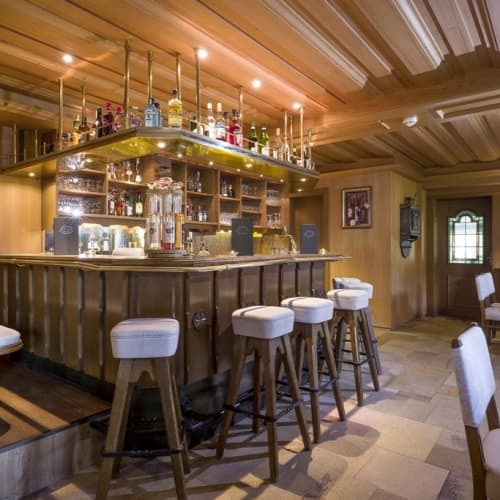 For those looking to relax there are underwater massage jets and underwater massage recliners as well as a spa area (payable locally) which includes saunas, steam baths, massages and a crystal pool to name just a few of the indulgent facilities. For kids, inside, there are fantastic water slides including a broad slide, tube slide and the turbo slide with light effects and outside there are even more slides to test out. The outdoor pools are heated and they are perfect for kids to play while parents simply relax and enjoy the sunshine. If you find yourself with an energy left after all this activity, you can play volleyball, badminton, football, table tennis or open air chess here too. Fill your day with endless amounts of fun and activity. 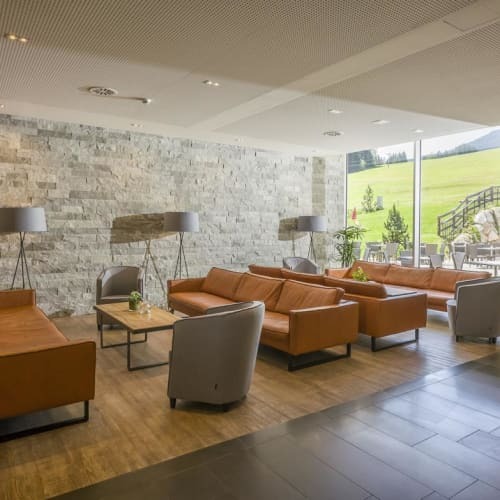 Our hotels and accommodation in St.Johann in Tirol will provide you with the St. Johann Card which allows free access to the Panorama Badewelt. With a daily programme of hiking trails for visitors to the area, you will find something to suit all interests and abilities. Hiking is the best way to get in and amongst the beauty of the area and you will be guided to ensure you don't miss a thing. 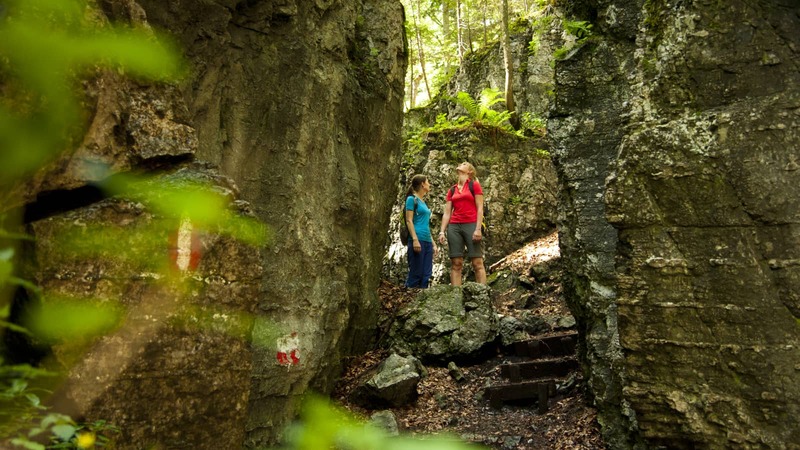 These hikes are run by the local tourist board to ensure that you are getting the very best of the area. There are a number of different routes and trails for varying abilities and interests. These are run for free (except transfer and cable car costs). Registration is not required. Mondays: Forest & Lake Hike. Hike past traditional farmhouses and pretty ponds where benches invite you to take a break to enjoy the stunning scenery. 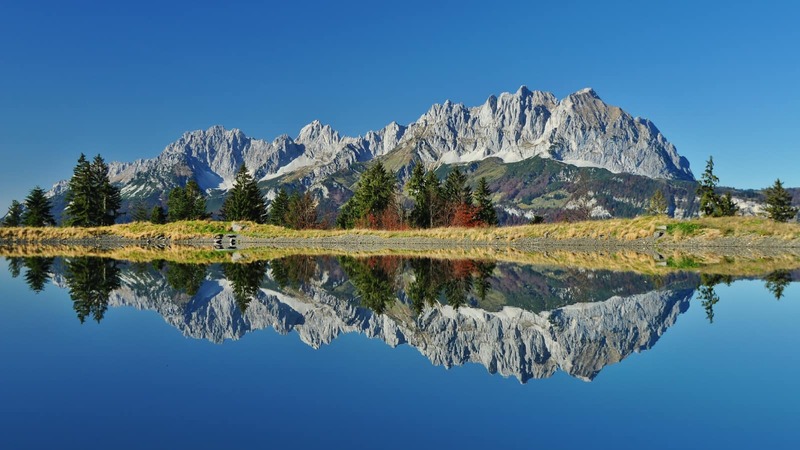 You will go through a beautiful moorland to the pristine Lake Schwarzee in Kitzbühel. 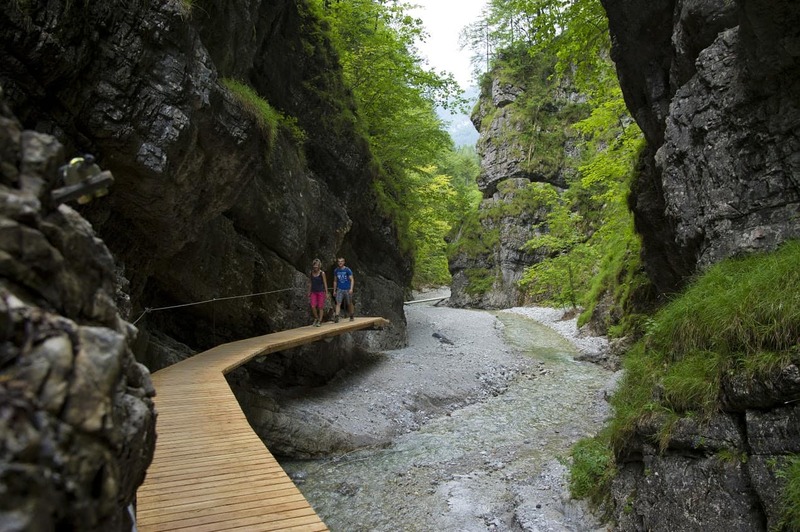 A beautiful trail that is suitable for beginners without hiking experience. 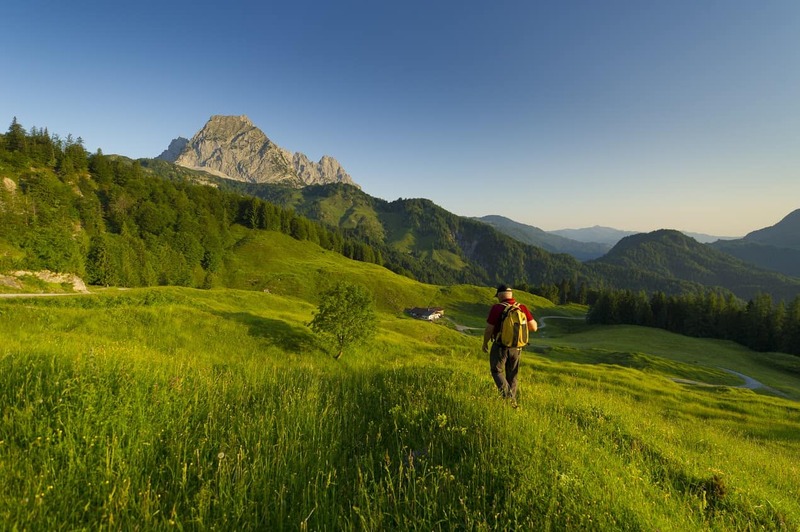 Tuesdays: Guided 'Wilder Kaiser' Hike. 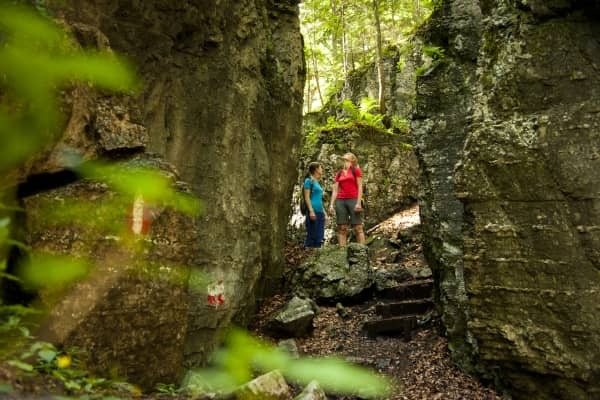 This is a long day hike where you can get close to the Kaiser's rugged rock walls and the wildlife around the area.Destinations change weekly and include Maukeck, Schleier Waterfall, Herrenstein, Fritz-Pflaum-Hutte and Niederkaiserkamm. Wednesdays: 'Mountain Goats, Pastures & Dwarf Pines' Guided Hike. 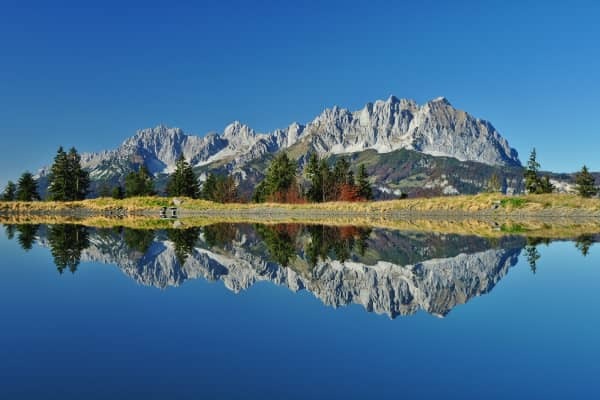 On your hike through the nature reserve to Ranggenalm, the Kaiser massif is your constant companion and you get to enjoy some incredible views. At 'Vordere Ranggenalm' they still produce cheese in traditional style and binoculars will allow you to see chamois in their natural habitat. 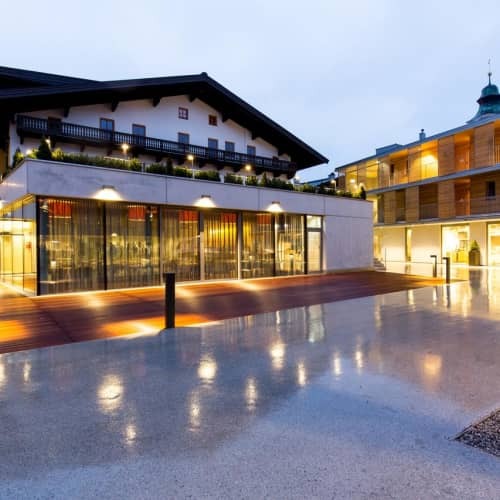 At 'Latschenbrennerei you will learn how oil is extracted from mountain pines. 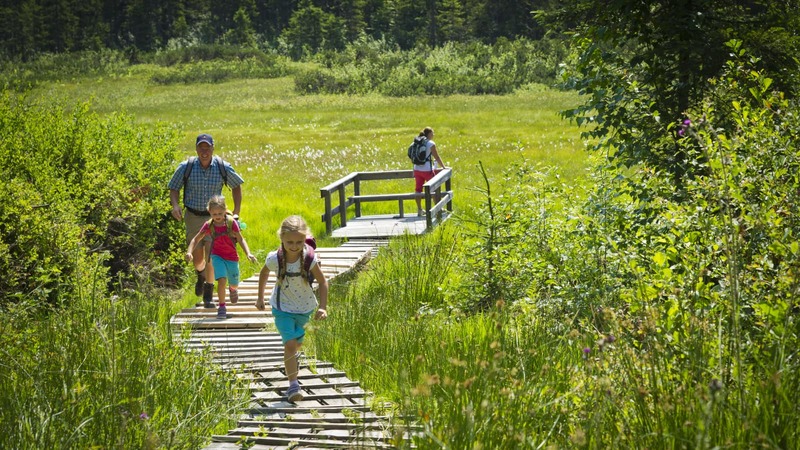 This trail is suitable for beginners who are comfortable on narrow trails. 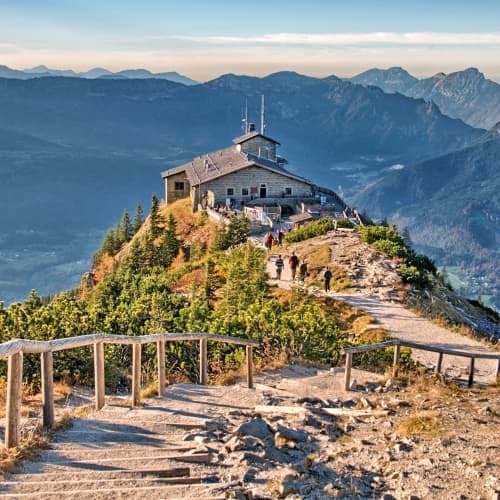 This hike takes you along the Stations of the Cross trail to the Weeping Virgin Mary hermitage, Tirol's last occupied hermitage which has been providing shelter to Christian hermits for the last 300 years. The trail features a series of wooden sculptures that were made by the local artist Horst Pali. 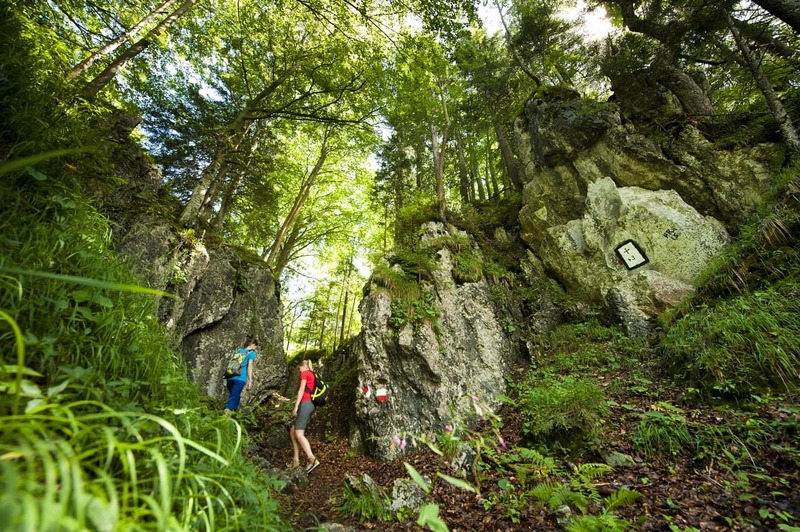 Along the way you will learn about the flora and fauna found on Niederkaiser Ridge. The dairy woman at Bacheralm is a certified herbalist and over a cup of homemade herbal infusion, she will teach you about the use of local herbs. 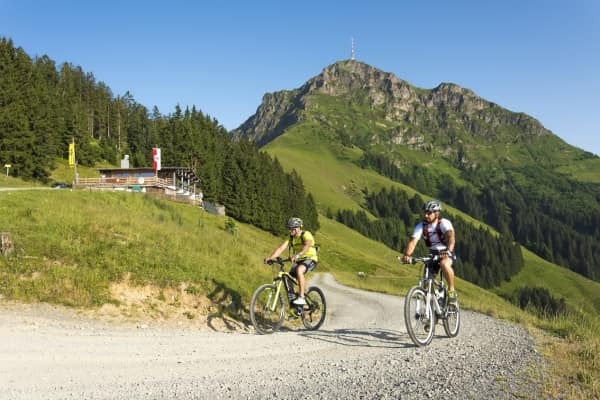 This trail is suitable for beginners who are comfortable on narrow trails. 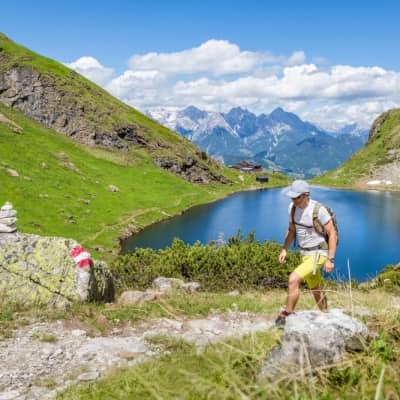 At the foot of the Wilder Kaiser Mountains is an almost forgotten nature paradise that has been revived and turned into a pristine oasis for nature lovers and walkers. On this hike you will learn about the famous sundew, a carnivorous plant as well as moor ghosts. Suitable for beginners with no hiking experience. 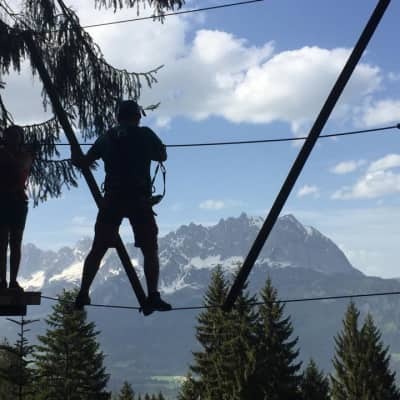 A place for action and adventure lovers, young and old, Kletterwald Hornpark is a climbing and high rope course set in the forest amongst the beautiful surroundings of the Kitzbuhel Alps. 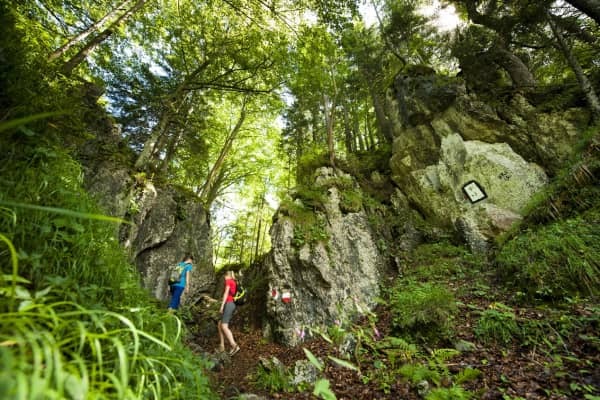 For a fantastic pulse-racing day of fun and the perfect way to get the most of the amazing surroundings, Kletterwald Hornpark is hard to beat. 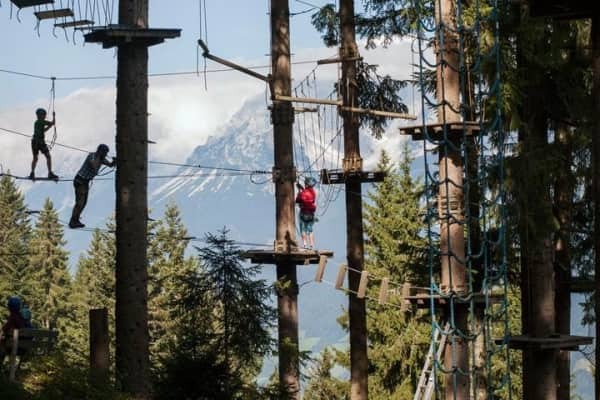 There are various platforms set high in the trees, connected by bridges and zip lines and your challenge is to reach them. 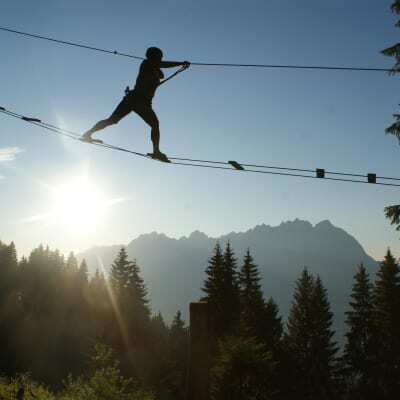 Various configurations of cable, wood and rope to form bridges and zip lines are perfect for climbers and thrill seekers. 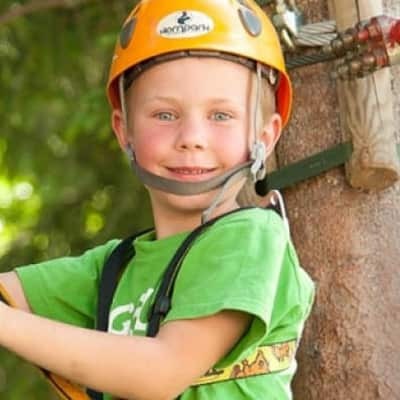 The harness and equipment is provided at the park and you will be given a safety briefing before tackling the course as well as demonstrations on how to climb and use the ziplines in a safe and fun manner. The ariel adventure park is open come rain or shine so make sure that you dress for the weather. 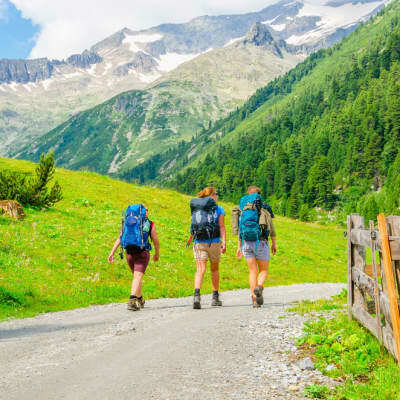 We recommend that you wear well-fitting clothing and appropriate footwear such as hiking shoes and gloves are also recommended. Children under the age of 14 years need the accompaniment of a climbing adult and the courses that children can access, depends on their height. The courses that are suitable are clearly marked in the course itself to ensure that everyone gets the most out of their day here. 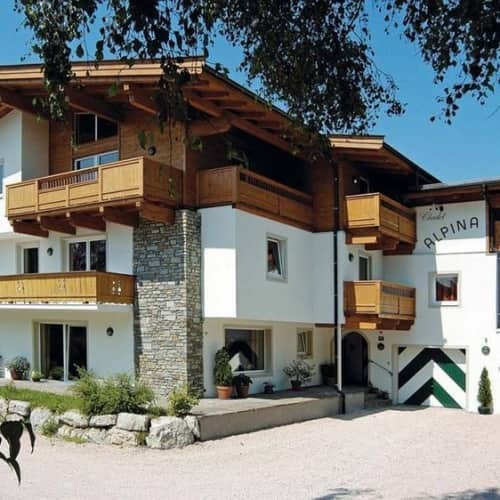 Prices are from €24 for adults and €17 for kids. Find out more here.